First the paper analyses the rationality assumptions of mainstream economics and shows that they are empirically misleading and normatively inadequate. It argues that the world ruled by self-interest based rationality of economic actors leads to ‘unreason’ from a wider ecological and human perspective. 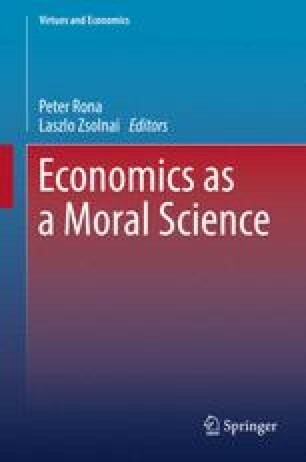 The paper illuminates that human reason requires a different way of economic functioning which implies a redefinition of the final goal economizing. It is argued that the main goal of economic activities should not be profit-making but providing right livelihood for people. Amartya Sen suggests that economic reason can be understood as reasonableness of preferences, choices and actions. Reason requires that economic activities are achieved in ecological, future-respecting and pro-social ways. Intrinsically motivated economic agents who balance their attention and concerns across diverse value-dimensions are able to do this and show the viability of true economic reason under the circumstances of present day “rationally foolish” economic world.